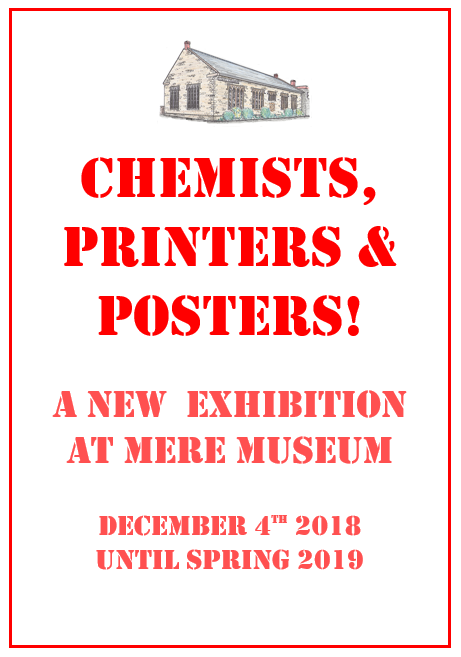 Our latest exhibition ‘Chemists, Printers and Posters’ tells the very interesting story of four men who kept Mere informed about daily life and events for over 160 years between them! It has been attracting a good audience and some nice comments in the visitor’s book. It’s certainly one of the more rewarding ways of spending a wet winter afternoon! Entry to the museum is always free.